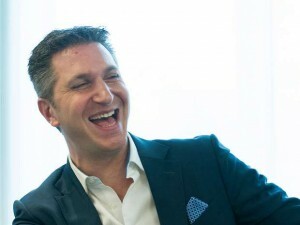 Amaya CEO David Baazov knows a thing or two about takeovers. It hasn’t even been two years since he led Amaya’s $4.9 billion acquisition of the Rational Group, the parent company to both PokerStars and Full Tilt Poker. Now the 35-year-old is looking to move all-in and seize his entire company. On Monday, Amaya confirmed that Baazov and an unidentified group of investors proposed an all-cash purchase of the interactive gambling conglomerate at a price of CAD$21.00 ($14 USD) per common share. The offer by Baazov and his financial backers represents roughly a 40 percent premium over where Amaya shares closed on the Toronto Stock Exchange on Friday and a 26 percent increase on its NASDAQ listing price. In preparation of bid discussions, Amaya has formed a special independent committee to review and examine the forthcoming negotiations. Baazov didn’t directly address his intentions in the corporate press release. On November 19, 2015, Amaya disclosed that Baazov had invested $2.3 million of his own money in exchange for 110,000 common shares. The revelation came less than two months after New Jersey granted Rational an online gaming license to operate in New Jersey and effectively bring PokerStars and Full Tilt back to the United States for the first time since April of 2011. Like any sound poker expert or businessman, Baazov is looking to expand his big stack position. Amaya has been one of the more volatile businesses to invest in over the last two years. When the Montreal-based corporation bought Rational, its share price soared from around $7 to over $33. Since then, it’s fluctuated heavily and largely confused even the most seasoned investors. Analysts are both bulls and bears on Amaya. That’s because Amaya’s products are submerged deep in legal murky waters in the United States and around the globe. The stock’s valuation has gradually diminished over the last 12 months and closed at just over $10 last Friday. Baazov apparently believes strongly that the upcoming New Jersey entry will lead to expanded legalization in the United States and a more reliable revenue stream. Baazov was one of several Amaya executives probed last summer by Quebec’s Autorité des marchés financiers (AMF), the province’s lead financial investigative arm, on suspicions of illegal insider trading leading up to the company’s PokerStars purchase. Regulators seized Baazov’s computers and phone records, but to date no charges have been brought. Amaya was also levied with an $870 million fine in Kentucky earlier this year for PokerStars illegally profiting off its residents between 2006 and 2011. Amaya says it isn’t responsible for the poker network’s operations before it acquired the platform and plans to appeal the verdict. While market forecasters remained divided on Amaya since its buyout of Rational, those who took the risky gamble on the gambling stock are now likely to receive a substantial dividend depending on when they made the investment. Wall Street loves when a public company tries to go private, as those financing the buyback need to significantly entice shareholders and the company’s board of directors that the move is in their best interests. Baazov offering upwards of a 40 percent premium on the stock’s current value, paired with Amaya’s unpredictable future, might make this a rather expedited process.